Contemporary and stylish, this dining table and chair set will transform your dining room into the modern marvel you have been searching for. Plush seat and seat backs accented with a lovely circle motif give the chairs a chic look. The table comes with a handy shelf so you can keep plates and serving trays within easy reach. 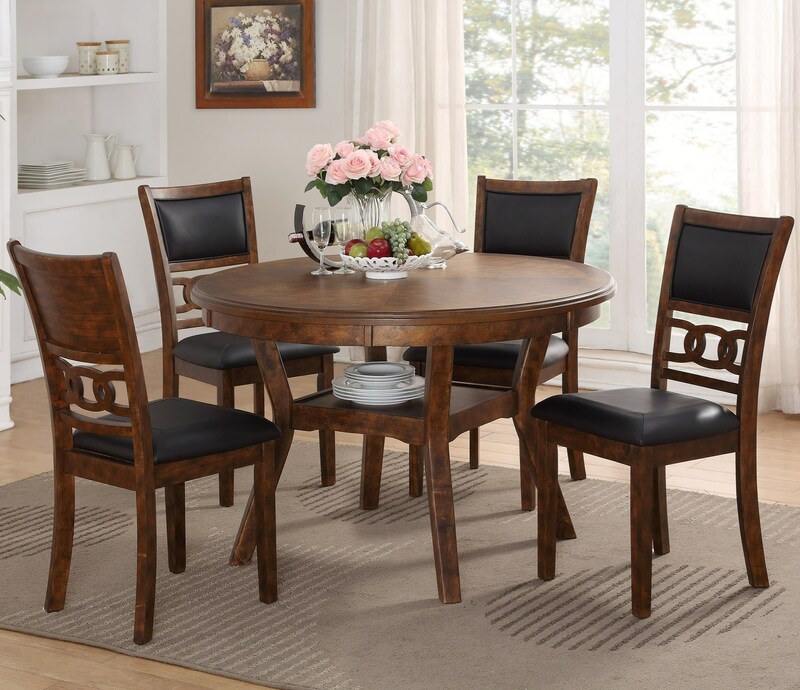 Completed in a handsome Ebony finish, this dining table and chair set is the perfect addition to your home. The Gia Dining Table and Chair Set with 4 Chairs and Circle Motif by New Classic at Great American Home Store in the Memphis, TN, Southaven, MS area. Product availability may vary. Contact us for the most current availability on this product. Browse other items in the Gia collection from Great American Home Store in the Memphis, TN, Southaven, MS area.